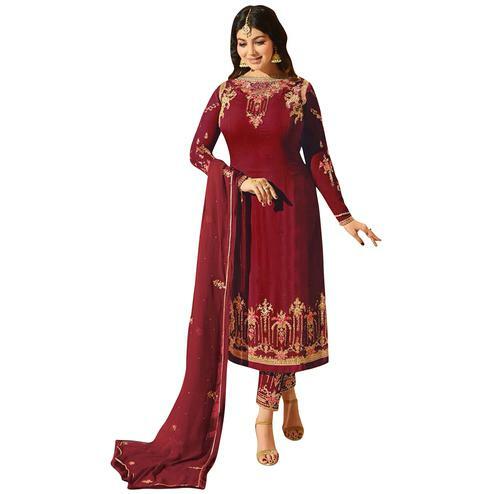 Featuring maroon color georgette fabric calf length kameez showcasing zari floral embroidery work on yoke hem and sleeves. Accompanied with matching color santoon fabric bottom and lining including matching color chiffon fabric dupatta worked with zari embroidery and lace border. Suitable to wear on your important wedding functions or receptions. Teaming this ethnic piece with golden jewelry would definitely give the wearer an outstanding look.